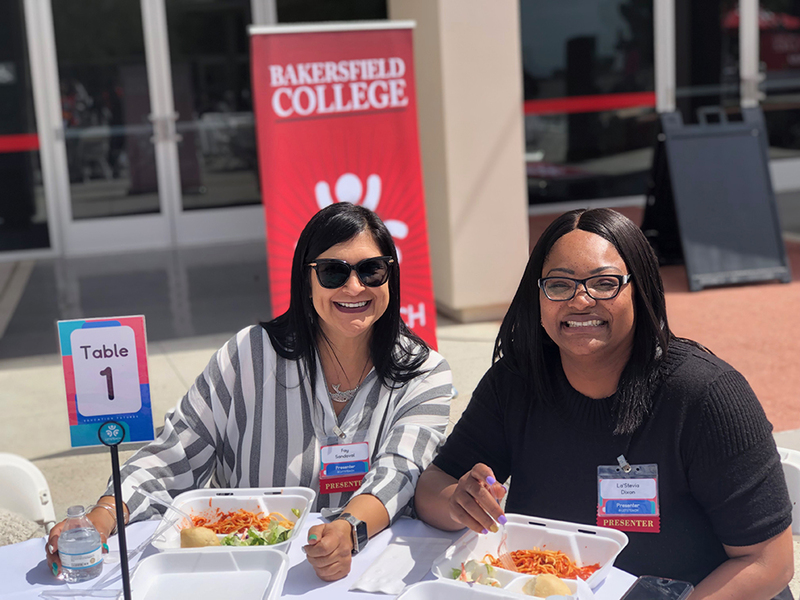 Presenters Fay Sandoval and La’Stevia Dixon from Edison School District spoke about “Teaching From the Heart” at the LETS Teach Conference workshop. 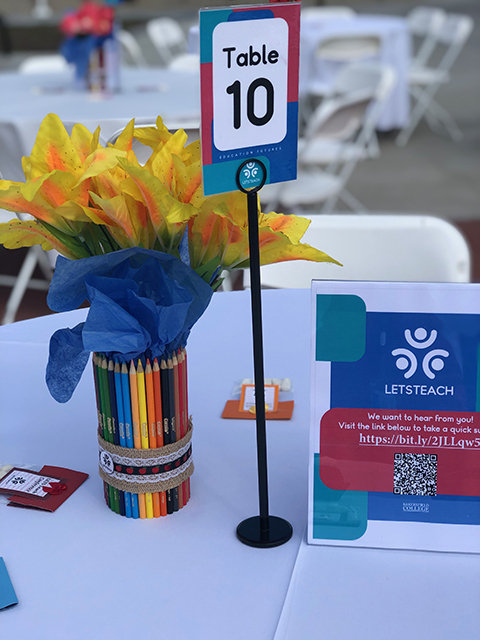 The Leaders and Educators for Tomorrow’s Students (LETS Teach) conference gathered students who are interested in pursuing a career in teaching or becoming professors on March 29. 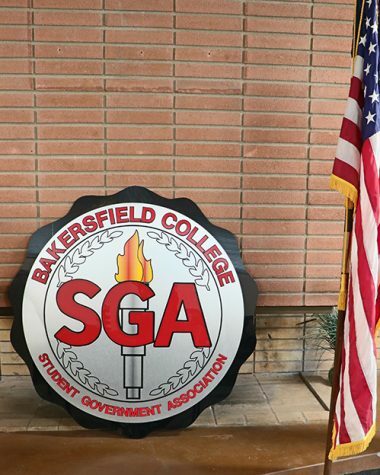 The event was at the Indoor Theater and many Bakersfield College students attended, including high school students. The conference also included a lunch for the students and participants outside the theater. The conference consisted of students participating in interactive workshops. Professors and field experts directed many of the workshops to prepare and inform students about what being an educator is like. Throughout the conference, there were around twenty workshops provided to the students. 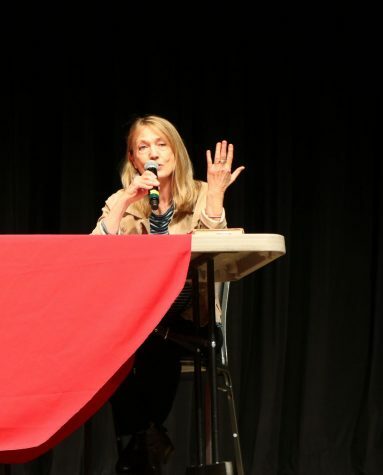 Educational advisor Isabel Castaneda said the Education Department prepared for the event with a coordination team, peer mentors, volunteers, and the presenters. Table decorations during the LETS Teach Conference lunch event outside the Indoor Theater. “Our target students for this conference were those who are thinking of pursuing teaching in the field of STEM or CTE,” Castaneda said. 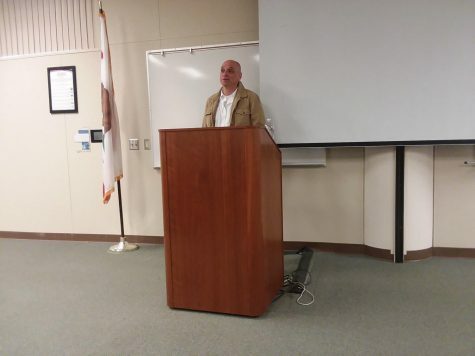 Castaneda provided an informational quote from Ed Source about California schools. 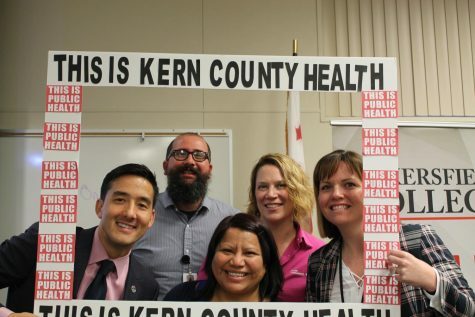 The conference was sponsored by the Education Futures Grant and the California Community Colleges Chancellor’s Office. This was the fourth conference sponsored by the Education Futures grant hosted by LETS Teach at BC and will continue to have monthly events for students.